The Whitney Stakes winner went five furlongs in 58.90 seconds Friday morning in preparation for the Grade 1 race September 29. ELMONT, N.Y. – All the ingredients were in place for Diversify to have a strong workout Friday morning, and the multiple graded stakes-winning New York-bred delivered by sizzling five furlongs in 58.90 seconds over Belmont’s main track in preparation for the Grade 1 Jockey Club Gold Cup on Sept. 29. Before Friday, Diversify had just one workout since his powerhouse victory in the Grade 1 Whitney on Aug. 4 at Saratoga. Due to several days of wet tracks, Diversify’s last several days consisted mostly of jogging, with the exception of a gallop on Thursday. 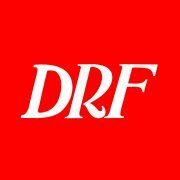 In Friday’s drill, Diversify had jockey Irad Ortiz Jr. up, a freshly harrowed track to work over, and a pair of Chad Brown-trained horses breezing a half-furlong or so in front of him. Thus, Diversify zipped his first three furlongs in 34.65, went three wide as he got to the Brown duo, which picked up the pace turning for home, and Diversify, still three paths wide, came home in 24.25 and galloped out six furlongs in 1:11.25. “This will just wake him up,” said Melissa Cohen, assistant to trainer Rick Violette, who was in Kentucky on Friday. Diversify will have one more work, likely an easy half-mile, next weekend. Diversify will look to win the Jockey Club Gold Cup for a second consecutive year. He will bring a three-race winning streak into this year’s running, with victories in the Commentator, Grade 2 Suburban, and Whitney leading to this. Violette said that following the Gold Cup, the Breeders’ Cup Classic will remain “in play,” and a decision on whether to run or not won’t be made until Violette sees how the horse trains over Churchill’s main track. Violette said he does plan to ship Diversify to Kentucky shortly after the Gold Cup to see how Diversify acclimates to the surface. Last year, Violette skipped the Breeders’ Cup Classic at Del Mar and ran Diversify in the Grade 1 Clark at Churchill, where he finished fourth after setting an uncontested pace. Violette said Ortiz told him that Diversify didn’t handle the surface. “If he hates it, we’re out of luck,” Violette said.